At The Secret Campsites we really pride ourselves on helping our guests get away from it all. Encouraging people to get outdoors, back to nature and experience wildlife is our passion. It could be yours too with our quirky gift cards. Do you like the idea of giving that special someone the quirky gift of the great outdoors? Well now you can. Our gift certificates allow you to gift a stay at any one of our three campsites. 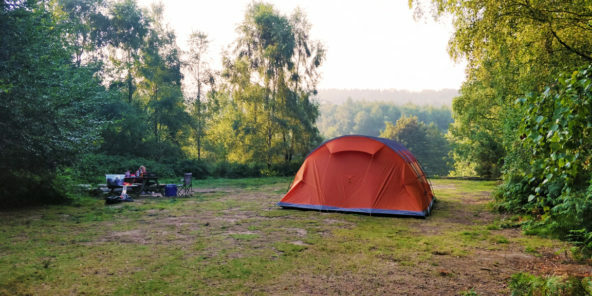 The Secret Campsite Lewes – here our guests can experience an abundance of wildlife whilst camping in our beautiful woodland meadow, disorganised orchard or the bank with views over the South Downs. We have worked very hard to encourage wildlife into the site. Not a day goes by where we don’t spot something interesting. Be it a deer grazing, a buzzard swooping or the masses of butterflies that flit through our meadow of wildflowers. 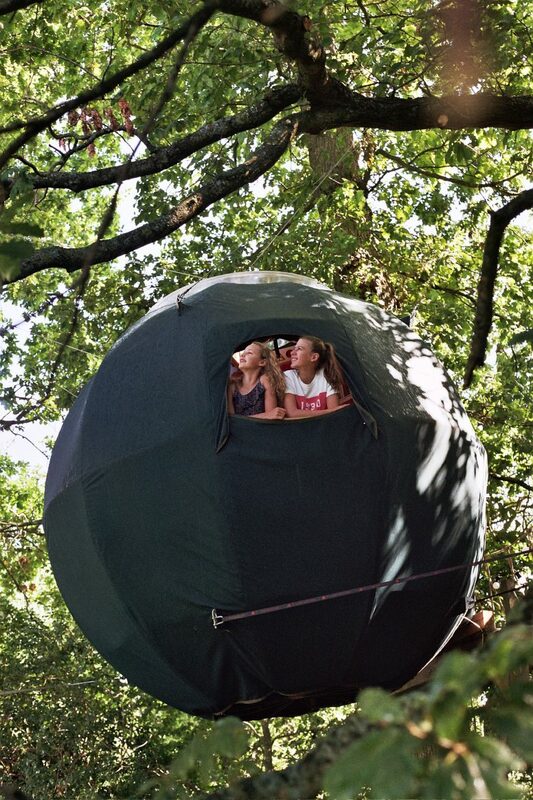 Our guests also have the chance to sleep in the branches of the trees in our Tree Tent, or perhaps a little closer to the ground in our hand made Gridshell. Both of which have been lovingly designed by local inventor Jason Thawley of Tree Tents. Wild Boar Wood – this is our off grid glamping only site. Why not give the quirky gift of a weekend in a bell tent within out stunning 5 acre woodland. Guests here have the chance to really get away from it all and sleep within a semi ancient woodland with the Bluebell steam train occasionally passing by. The site has just 9 bell tents and lots of opportunities to explore, play and relax. Beech Estate Campsite – here we have a mixture of bell tents, tent pitches and even hammock pitches allowing everyone from camping pros to novice campers to get exactly what they need from their stay. The site itself is set on the edge of a 600 acre woodland giving your quirky gift recipient the chance to explore to their hearts content and really get back to nature. At each of our three campsites you’ll have your own fire pit, perfect for toasting marshmallows, reconnecting with friends and family and watching our favourite show – fire tv. By buying one of our gift cards you’ll not just be giving a loving gift to that special someone, you’ll be supporting the Wildlife Trust too. For every camping gift card we sell, we’ll be giving 5% of the sale to our friends at the Sussex Wildlife Trust. You can purchase your camping gift card with a value of anything over £25. Perhaps you’d like to treat a family to 2 nights of camping at Beech Estate? Or maybe you’d like to give a £50 voucher to a friend towards a stay at The Secret Campsite Lewes. Our camping gift cards give you the flexibility to give what you want. Just pop over to our camping gift card page and fill in the form, we’ll soon be in touch.